Oklahoma Stair Co. has over 45 years experience in stair parts and installation, and we specialize in custom applications. We install every thing we sell. We are locally owned and operated. Call us first you will be glad you did! 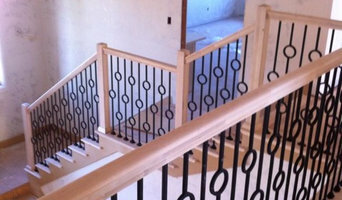 Ornamental stairs and handrails. All metal alloys.